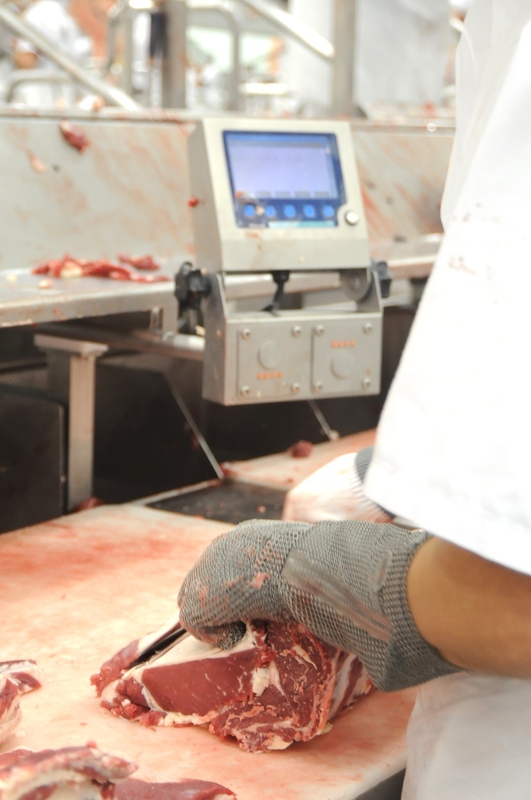 THE need for greater flexibility in labour employment conditions, and consideration of reforms to pricing for meat inspection services were some of the key recommendations included in an independent report into meat processing competitiveness released today. The independent report (click here to view this morning’s separate summary) looked into the cost to operate within the Australian beef processing industry, making alarming comparisons with competitors in North and South America. Compiled by consultant economist, Selwyn Heilbron, the report identifies and quantifies the international comparative costs burden faced by the red meat processing industry in Australia, the US, Brazil and Argentina. It makes a series of recommendations on specific areas of cost disadvantage in Australian red meat processing, broken into three different sections covering labour costs, energy costs and export inspection costs. “Given the significance of labour in total processing operating costs, governments and their regulatory agencies need to address policy-induced cost disadvantages faced by the red meat processing industry to ensure its economic sustainability, and enable it to benefit from domestic and international red meat market trends, rather than become a victim of them,” the report said. Red meat processors in Australia suffered from significant labour cost disadvantages compared with the US, Brazil and Argentina it said. “While it might be understandable that developing countries like Brazil and Argentina have lower labour costs, it is difficult to come to the same conclusion in relation to the highly-developed US. This is not to suggest that Australia should necessarily follow the same labour policies as the US, however the current labour disadvantage level is likely to result in increasing pressure on the future economic sustainability of the Australian industry,” it warned. While the old tally system had given way to more flexible arrangements and enterprise-level bargaining in red meat processing, helping offset the adverse impacts of a highly rigid, centralised system for setting wages and conditions, more needed to be done, the report said. However, since it was necessary to balance the supply of labour with demand for products, processors required flexibility in employment conditions, the report said. Within the constraints of the labour policy regime, processors had endeavoured to develop labour practices to accommodate this economic reality. In some states for example, many processors had developed so-called ‘daily hire’ practices. An analysis of indicators of employment protection legislation in various countries by the OECD found that Australia had significantly higher levels of protection of permanent workers against individual and collective dismissals. Australia also had more regulation on temporary forms of employment compared with the US, and about the same level of specific requirements for collective dismissal, the report said. Against the background of the critical importance of balancing the supply of labour with the demand for processing of meat, the report recommended that industry and government should undertake detailed research to develop policy positions on enhancing labour cost competitiveness, including a focus on improving labour employment flexibility. A related labour issue was access to skilled labour. In recent times, the processing industry had benefitted from the availability of skilled labour through temporary visas. While the same applied in the US, the US industry had proposed that, given its reliance on temporary visas, a certain proportion of the total number of visas available should be specifically allocated to red meat processing. “The Australian industry should analyse whether a similar approach to temporary visas as is being proposed in the US is warranted in this country, and then develop an appropriate policy proposal for action by government in the immediate term,” it said. Government export inspection costs should be based on economic efficiency principles, rather than outright cost recover the report argued. While export inspection charges accounted for a smaller proportion of processing costs than labour and energy, they were nevertheless important, since the industry could not export without use of government inspection and certification services, and also because of the history of inspection costs-related policy (see today’s second story). “Export inspection is a mandated monopoly. Like any monopoly, prices will tend to be higher than is justified by the marginal cost of producing them (the measure of economic efficiency),” the report said. In 2001 the Federal Government accepted the industry’s position and while user-pays continued, the costs were reduced by 40pc at the time. “Reducing inspection costs was thus a tax reduction, entirely justified on economic efficiency grounds. “Notwithstanding this, in 2011 the industry was persuaded by government to accept the imposition of full cost recovery in return for promised productivity gains in the provision of the service. As the industry subsequently realised, these gains never materialised, and the industry is over $100 million worse off,” the report said. The report recommended that research be undertaken which analysed the options of either government introducing marginal cost-pricing of inspection services along the lines of the US model, or that allocates total inspection costs to beneficiaries along the supply chain, similar to the Argentinian model. The above research should be presented to the federal government with a recommendation as to the best means of introducing efficiency pricing in export inspection in the immediate term, it said. Governments should support both economy-wide and industry-specific policies that underpinned increased energy cost competitiveness for the red meat processing industry, the report suggested. Nevertheless, the report made a number of recommendations. One related to the need for the industry to bring to governments’ and relevant regulatory agencies’ attention to the level of energy costs it faced and the need for relief. “There are avenues via which such information can result in relief. For example, in some states regulatory agencies exist which are responsible for action on various elements of the energy pricing regime, such as the wholesale pricing,” it said. The report recommended that research be undertaken to develop a plan to reduce energy costs faced by the industry and present the results to regulatory agencies, where it is believed that a practical outcome of improved energy costs can be achieved for the industry. The report also highlighted the processing industry’s ‘special position’ as being both energy-intensive and trade-exposed. “Currently, government policy initiatives aim to address energy shortages and high costs at a national or state level, without aiming to address the specific needs of an industry. This approach fails to recognise the highly-exposed position an industry like red meat processing faces,” it said. The report also recommended research be undertaken on policy options that would facilitate the adjustment of the industry through supporting various alternative energy initiatives, in the face of persistently high energy costs that hampered its international competitiveness and threaten exports, jobs and household incomes.